As a self-employed person, you won't have access to the advantages of medical aid as part of the CTC (cost to company) afforded to full-time employees within a large company. The self-employed person has to cover the costs of medical aid cover out of their own pocket and because of this, the self-employed person knows how important it is to do the right research and find the best medical aid cover at the most affordable price based on their monthly finances. 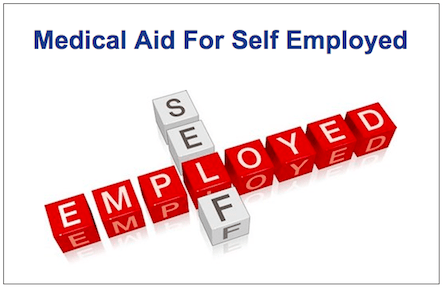 Finding the best medical aid as a self-employed person depends on many factors and should be taken into consideration. These factors are the age of the individual, their current health status and, as you are self-employed, any budgetary constraints. For younger healthier persons who are self-employed, the medical aid which is more often than not the most sufficient for their medical aid needs is an entry-level hospital plan designed to cover any major medical procedures that they may need. Whereas a self-employed individual who is married with children has to take into consideration the potential day to day medical costs of the dependents. Generally speaking, a hospital plan with savings or low-cost comprehensive cover or semi comprehensive cover is more than likely the best medical aid solution. For the older self-employed individual or one who is approaching retirement age, it is advisable to consider more comprehensive medical aid cover such as one that can offer better day to day medical benefits catering for chronic medical condition cover and in-hospital benefits at private medical facilities. Taking all this into consideration, as a self-employed person with the possibility of fluctuating income, it is vitally important to keep the medical aid contributions as affordable as possible so as not to put too much of a strain on the finances. Medical aid packages and monthly subscriptions vary quite dramatically from company to company, and there are many medical aid options available and choosing the right one can be quite challenging. Tailoring the right medical aid cover for your needs can be made easier by consulting with an accredited medical aid broker. The benefits of consulting with a broker cannot be overstated as they have access to information on most medical aid schemes and can do individual healthcare assessment and assist in choosing the perfect medical aid cover at the most cost-effective price point. Fortunately, there are affordable options available for those that are self-employed. One has to do a bit of research and investigating but it will be a worthwhile endeavor.